Check out photos from SOAPBOX 2015 here. SOAPBOX is The Laundromat Project’s elegant and art-filled annual benefit, including delicious beverages and hors d’oeuvres, live DJ, exclusive special edition print, silent auction, and fun art experiences. Check out photos from the 2014 event here. 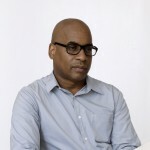 Glenn Ligon is an NYC-based artist whose art examines race, language, desire, sexuality, and identity. A mid-career retrospective of his work opened at the Whitney Museum of American Art in 2011. He is included in this year’s Venice Biennale, and his painting Black Like Me #2 is on view in the Obamas’ personal quarters in the White House. 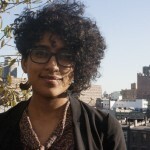 Shani Peters is a multi-disciplinary, Harlem-based artist whose work explores community building, activism histories, and reinterpreted notions of media. She is currently enjoying a one-person show at the University of Michigan. 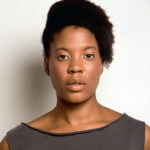 Shani was a 2013 artist-in-residence in Harlem and has been a teaching artist with The LP since 2010. Xaviera Simmons is an artist whose work that spans across disciplines, including photography, performance, video, sound, sculpture and installation. She has exhibited or performed at institutions including The Contemporary Arts Museum Houston, MoMA, MoMA PS1, The Sculpture Center, The Studio Museum In Harlem. Read The LP Interview with Xaviera here. The Laundromat Project cordially invites you to be an event host for our Soapbox benefit. Buy and / or sell a total of five tickets to be part of our host committee. Four (4) VIP tickets. ($800 is tax-deductible). Four (4) tickets included. ($380 is tax-deductible). Two (2) tickets included. ($240 is tax-deductible). VIP tickets include an invitation to the private pre-benefit reception. All hosts will be listed in the program book. To join, fill out our brief signup form or purchase via Eventbrite. The Laundromat Project is thrilled to present a special edition print by Xaviera Simmons. Each print is signed and numbered by the artist. 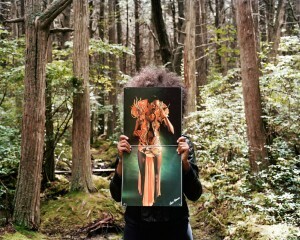 Read our interview with Xaviera to find out more about her print. Click here to read a one-page overview of our sponsorship opportunities. Levels include $500, $1000, $2,500, $5,000, $10,000, and in-kind support (especially catering, wine, and auction items). Click here for our sponsorship deck. Interested? Please fill out this brief form, or contact Akiva Steinmetz-Silber at specialevent@laundromatproject.org or (718) 574–0798. Advertising in the 2015 SOAPBOX program book is a great way to generate brand awareness and visibility among key influencers in the NYC arts and business communities. View a diagram of ad dimensions here. Ads should be sent to specialevent@laundromatproject.org (in EPS, PDF, or JPG formats) at minimum 300 DPI by Tuesday, May 19th, 2015. Can’t make it on June 16th, but still want to support our work? Help sustain our programs by making a tax-deductible donation.